I loved this dish… the chicken turns out so juicy and crispy! I didn’t add extra salt to the breading but if you like salt, feel free to add some in! 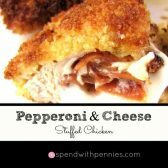 My kids loved dipping this in a side of warm tomato sauce but I prefer it just as it is! Add a few crumbs to the oil to ensure it’s hot before you put the chicken into the skillet. Once added they should bubble! 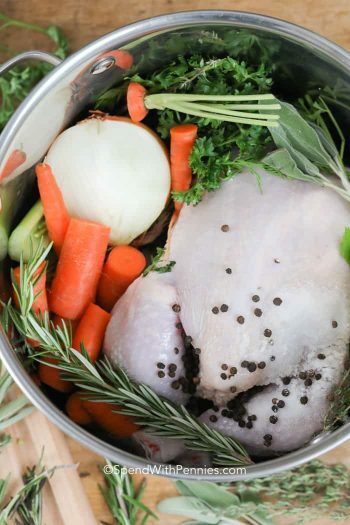 If the oil isn’t hot enough, the chicken will soak it up and be greasy. I loved this dish… the chicken turns out so juicy and crispy! 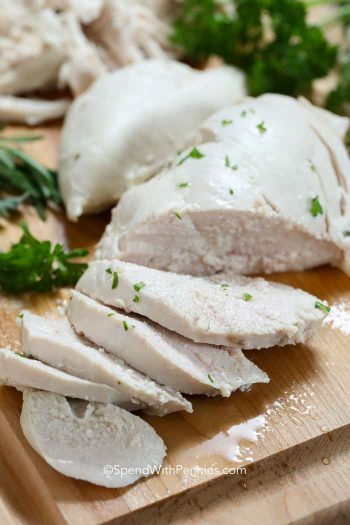 Using a sharp knife, cut a slit in each chicken breast and move the knife around to create a pocket. 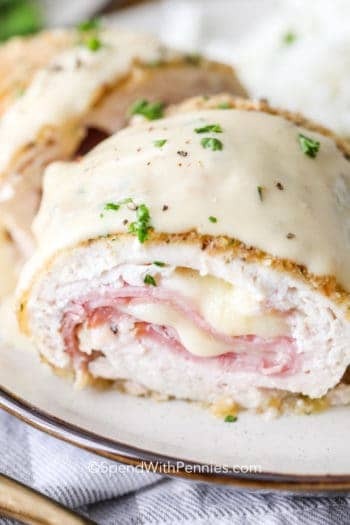 You do not want to cut through the chicken, just to make a pocket. 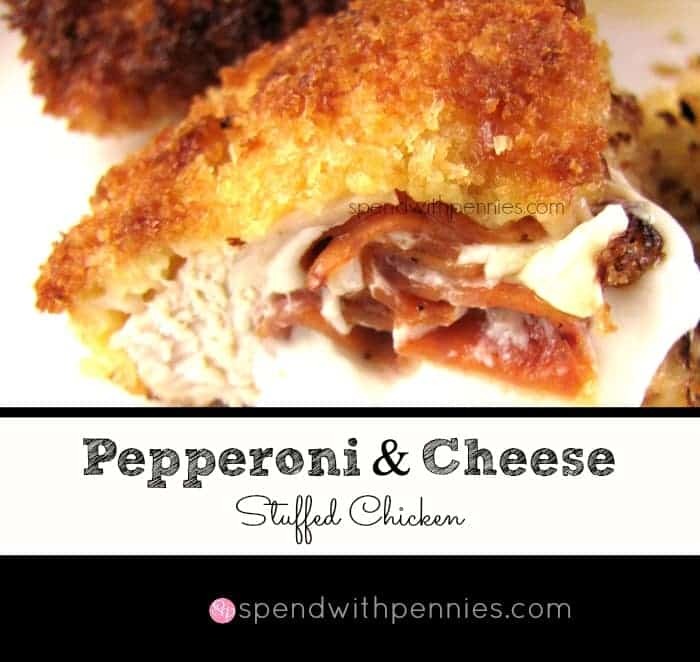 Stuff 1/4 of the cheese and the pepperoni slices into the pocket of each chicken breast. I tore some of the slices to make them fit better. Secure with a toothpick. Set up 3 bowls, one with flour, one with egg and one with breadcrumbs & oregano/pepper. Dip each chicken breast in the flour, then the egg and finally the breadcrumb mixture. Heat the olive oil in a skillet over medium-high heat. Ensure the oil is hot before placing the chicken or the result will be greasy. 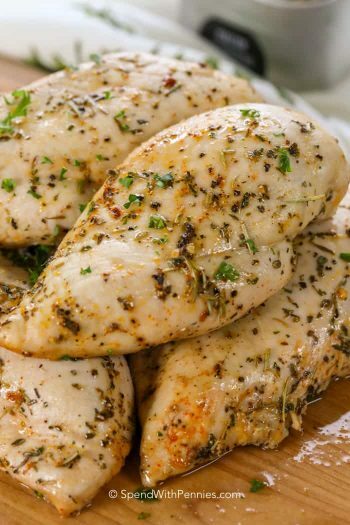 Fry the chicken breast for about 2 minutes per side or until brown and crispy. 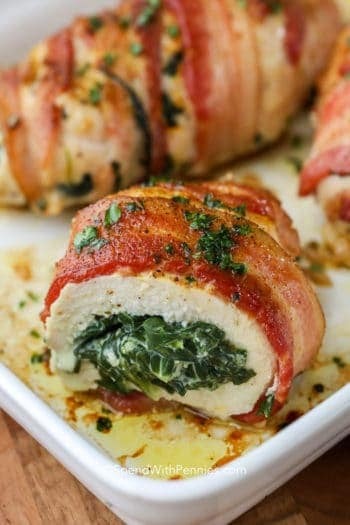 Transfer chicken to a baking sheet and continue baking about 25 minutes or until cooked through. 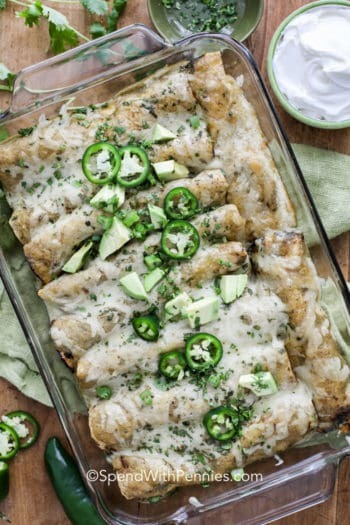 This yummy recipe was inspired by Army Wife and Mommy!